It has now been confirmed that the Palutena amiibo figure will be exclusive to Amazon. 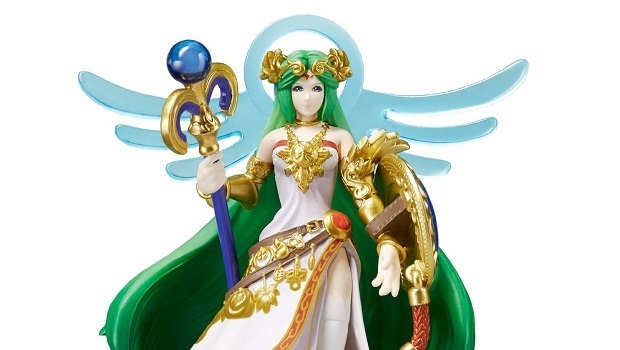 The online retailer announced this through a post on its games-dedicated Twitter account, making Palutena the latest in a long line of exclusive figures that Nintendo has been releasing. It was recently revealed that the Dark Pit amiibo will be exclusive to Best Buy as Nintendo continues to fragment the places that each figure will be available. Palutena is part of the Super Smash Bros. amiibo line, with Nintendo having promised that all 53 playable characters in Super Smash Bros. for 3DS and Wii U will be made into a figure at some point. Nintendo showcased the Mewtwo figure at San Diego Comic-Con, the first of the DLC characters that the company has shown off in amiibo form.